Having had partial success with their dashboards, companies are looking to the market for inspiration, only to find the term data visualisation widely used, says Gill Staniland, BI principal consultant at Synergy. This is according to Gill Staniland, BI principal consultant at Synergy. "Many companies and vendors alike are still looking for an answer to providing business value from their data warehouses in an easily consumable fashion. Having had partial success with their dashboards, they are looking to the market for inspiration, only to find the term data visualisation widely used. In reality, though, visualisations are the core components of a good dashboard." Data visualisation brings expensive and interesting data to life. The ability to present the data to show clear patterns or correlations that might otherwise go unnoticed is the ultimate goal, says Staniland. She adds that the South African data visualisation market is seeing a growth spike. "As our data reserves grow out of control, and businesses look for answers and value from their BI spend, there is an increasing need to 'package' the data for fast decision-making. More BI software companies are working closely with statisticians, graphic designers and psychologists to design solutions." Various suppliers are punting DIY dashboarding tools, which Staniland believes do have a place in the market. "However, as with any tool, they need to be used properly. While these tools make it easy to place various objects together, the dashboard may have no cohesive storyline, be clumsy to navigate and interpret, and the design may be just plain ugly." Synergy, states Staniland, has a number of step-by-step methods to help the user determine the best visualisation for their needs. "The first and most important step is to determine what question the business user is asking of the data. Without that, it is very hard to provide the answer in the most concise manner. We then need to understand what the data is telling us, and try and anticipate the next question. "We also need to know the story in the data. Are we looking for trends over time, seasonal patterns, comparisons, correlations, proportion, spatial patterns, etc? All these will guide the user to a specific set of 'best-fit' visualisations." The biggest challenge local companies are facing when it comes to effective data visualisation is changing the perception that dashboard development and data visualisation is a purely technical exercise, which can be performed by an expert SQL developer, she adds. "It is a collaboration, a meeting of minds of business, analysts, BI professionals and even a Web designer," she says. 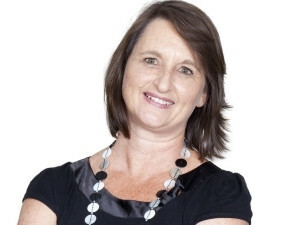 Staniland will be joined by other local and international BI subject matters experts at the ITWeb Business Intelligence 2014 Summit, in Johannesburg, from 25-27 March. Click here to access the programme for the event and take advantage of the early-bird offer.